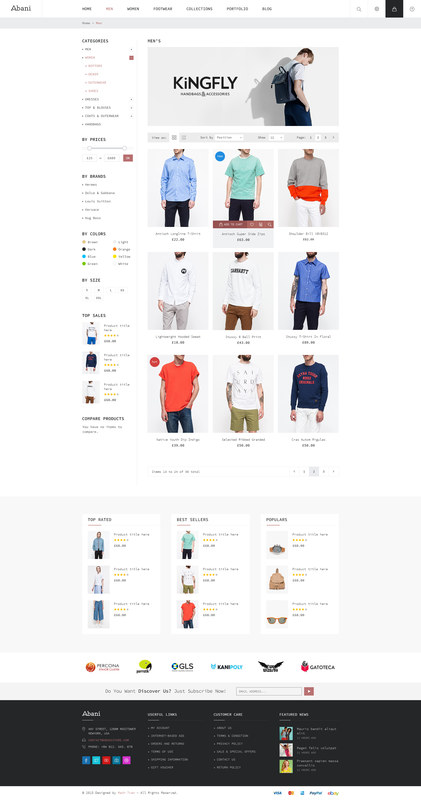 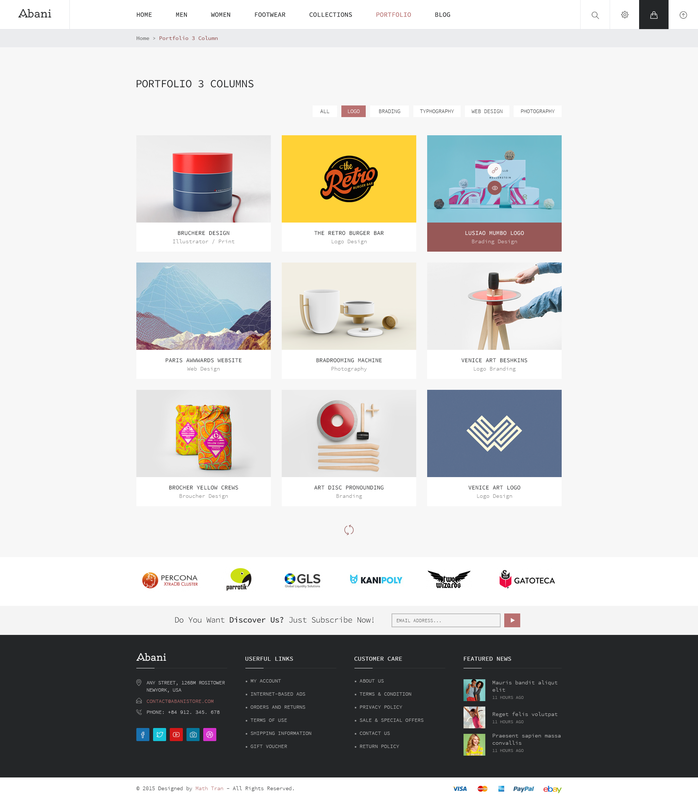 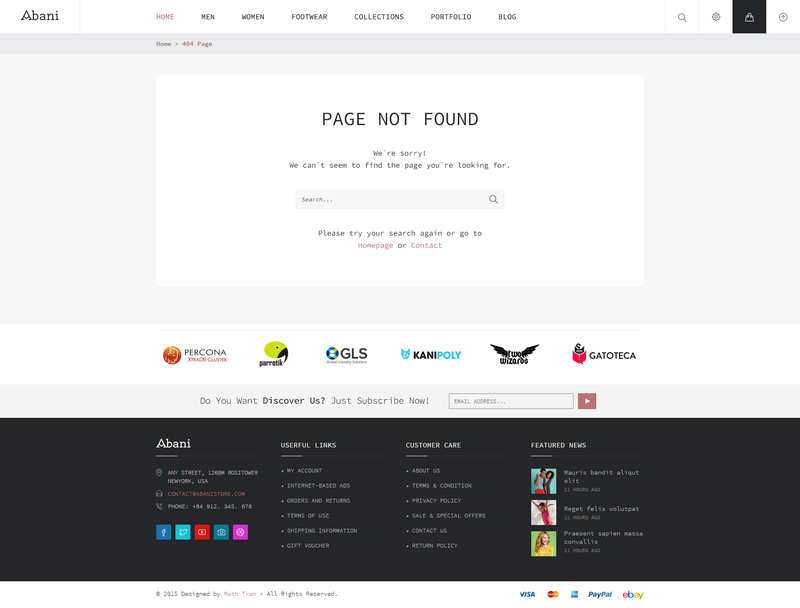 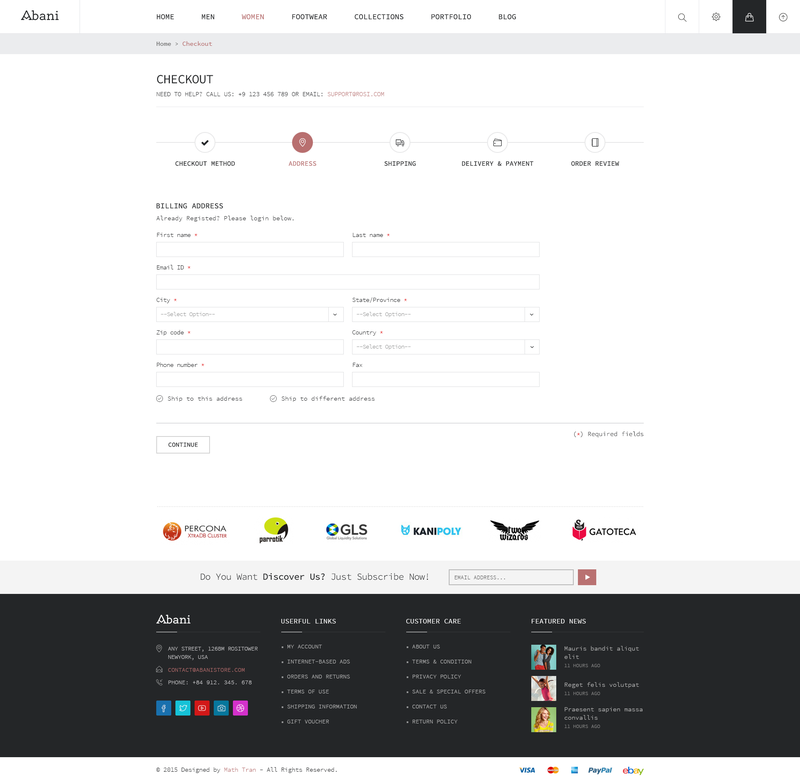 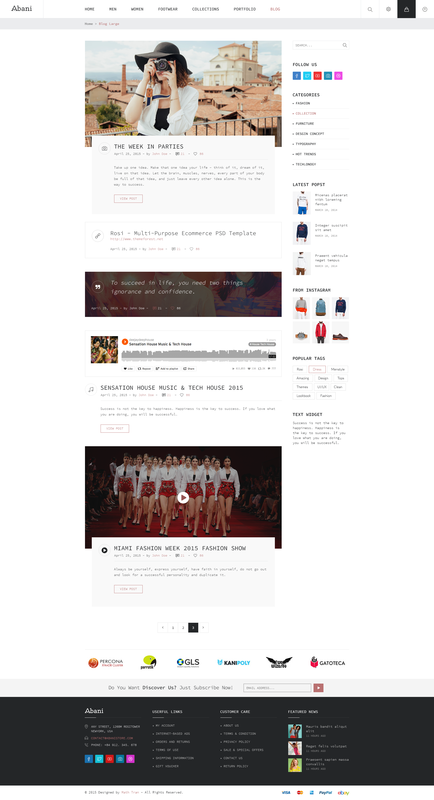 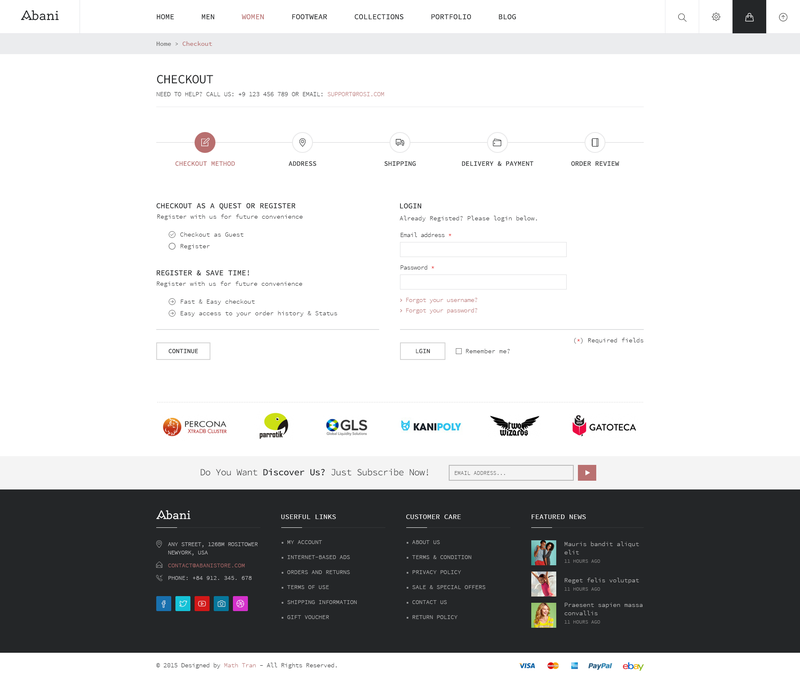 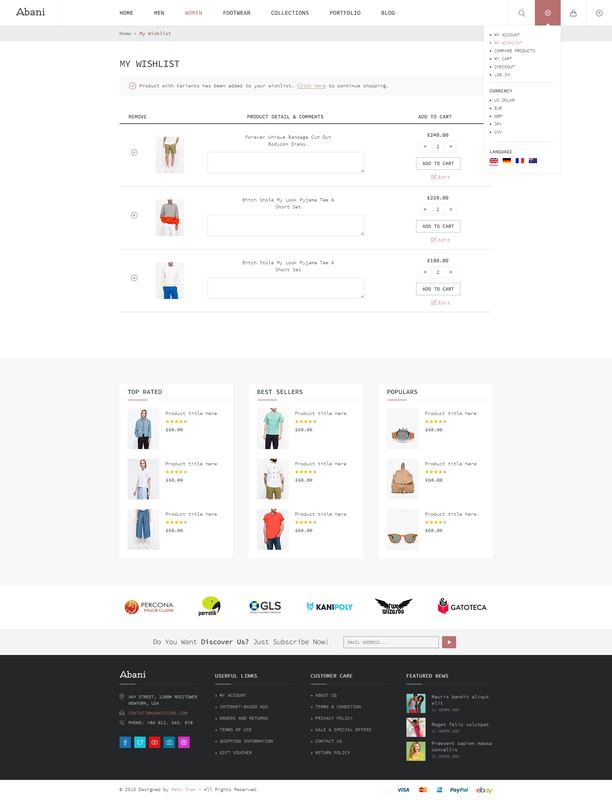 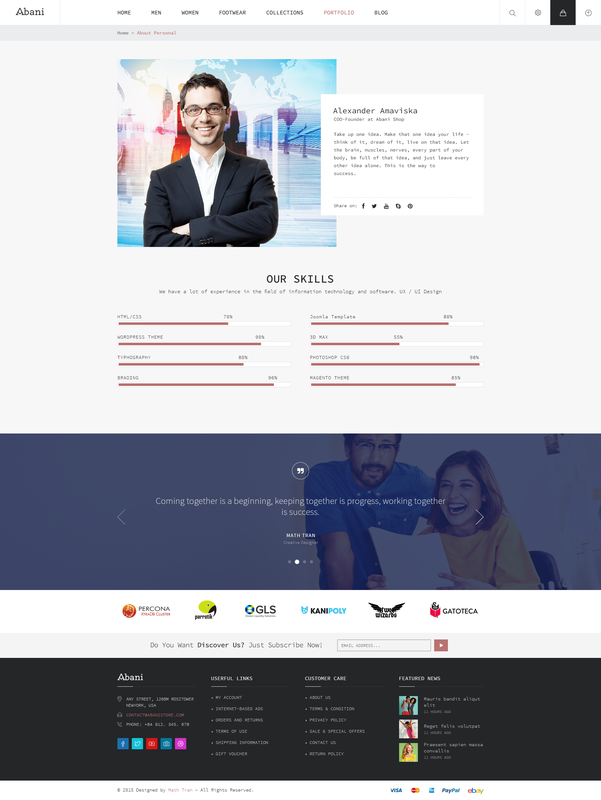 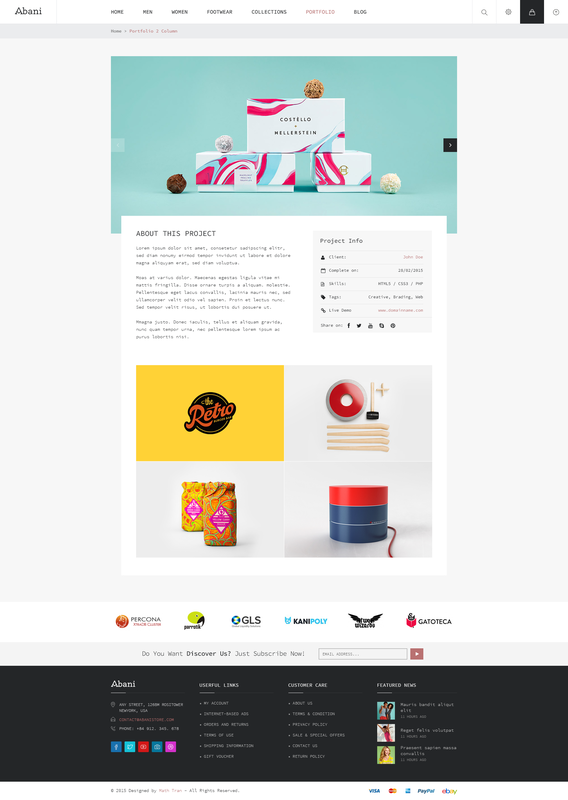 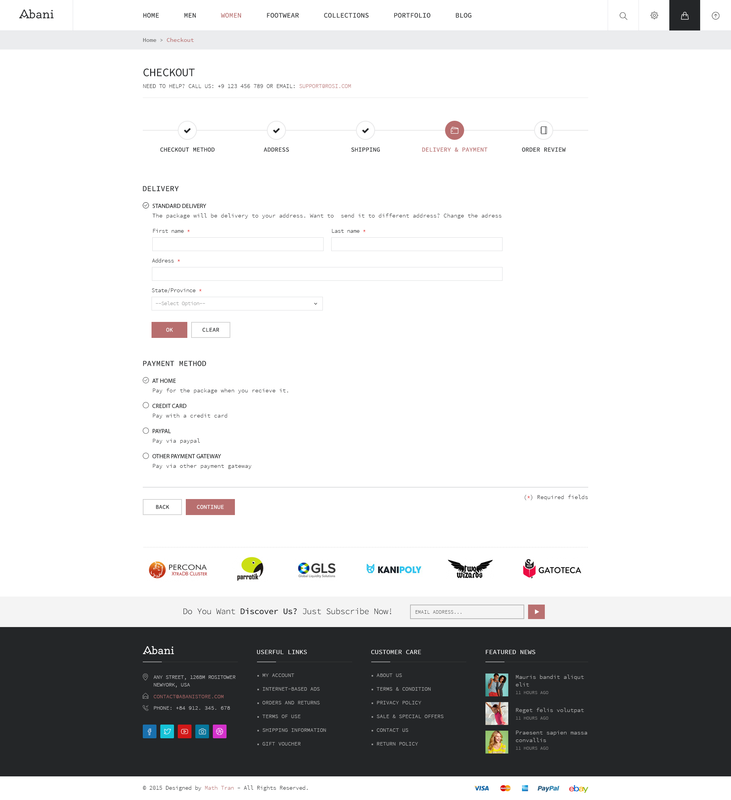 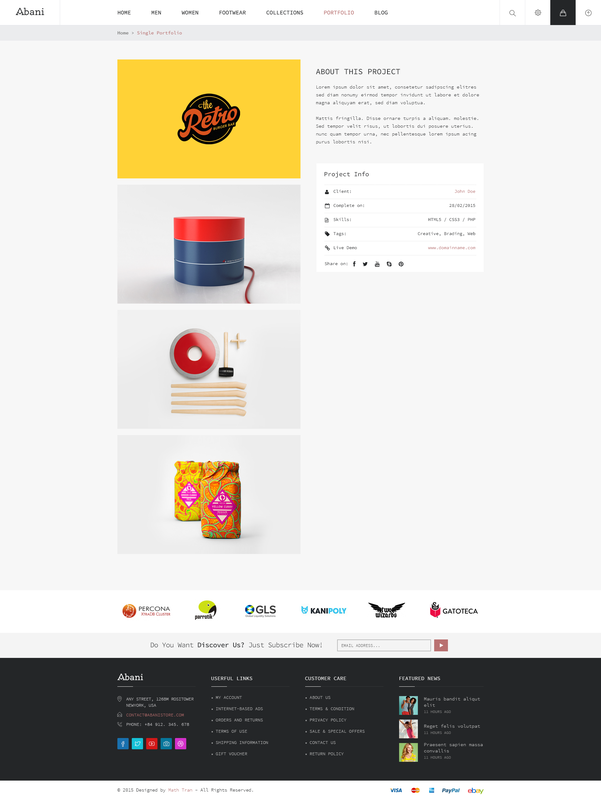 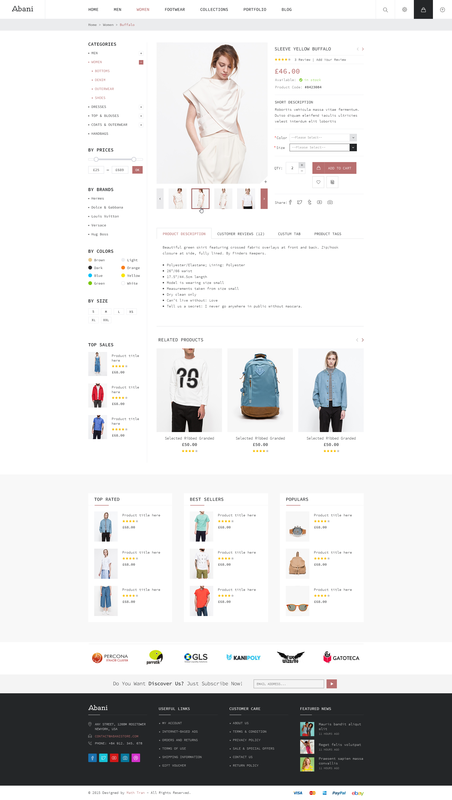 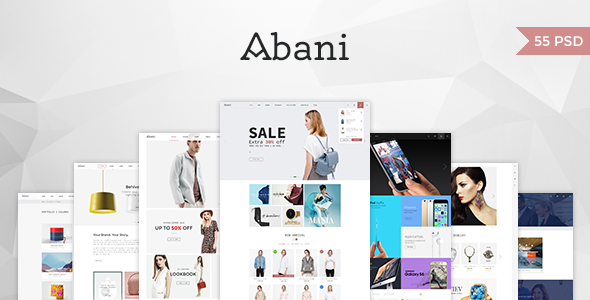 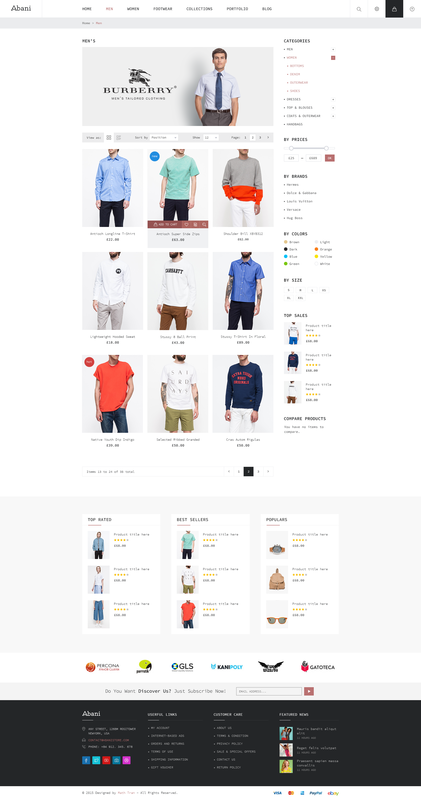 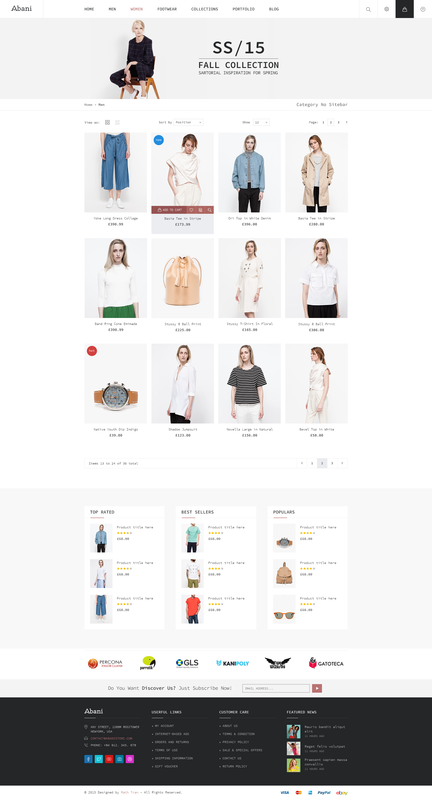 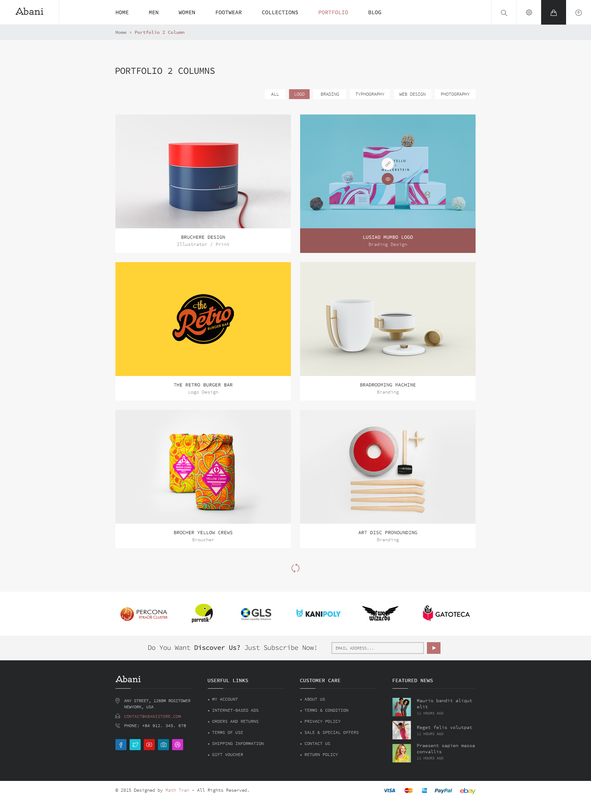 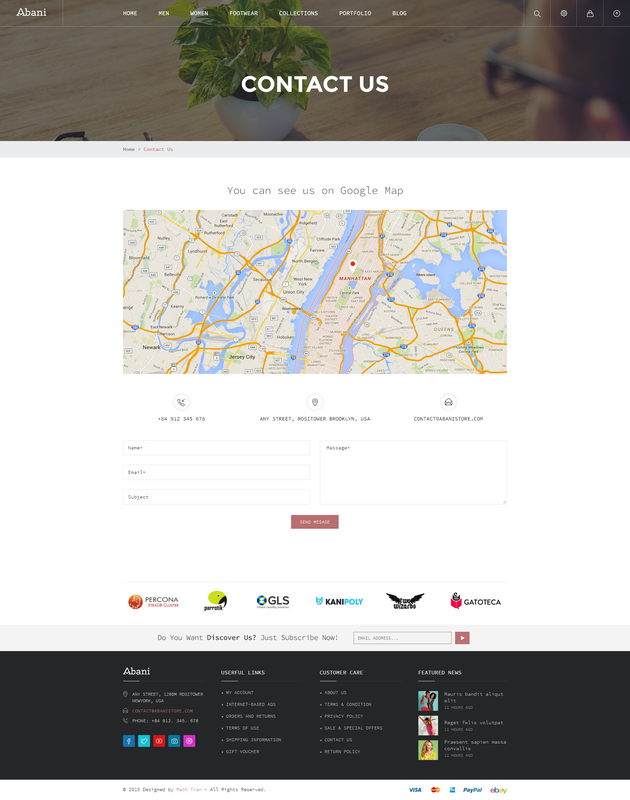 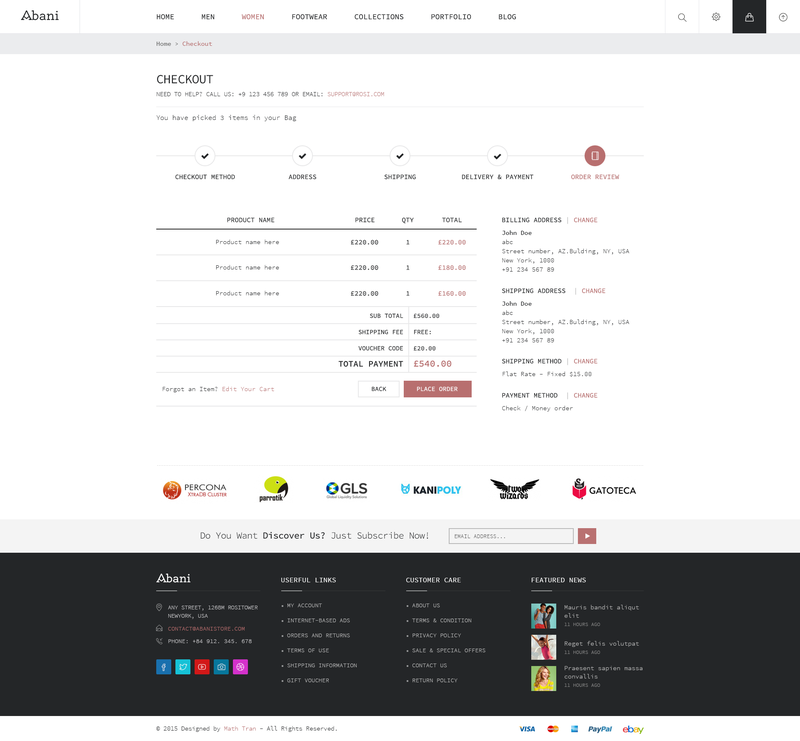 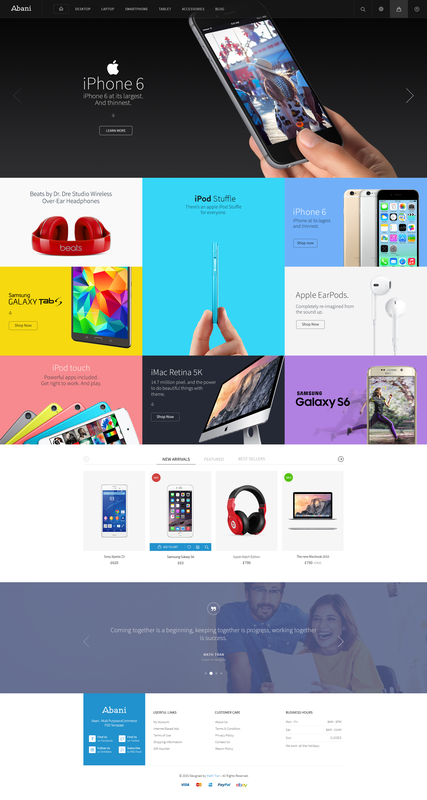 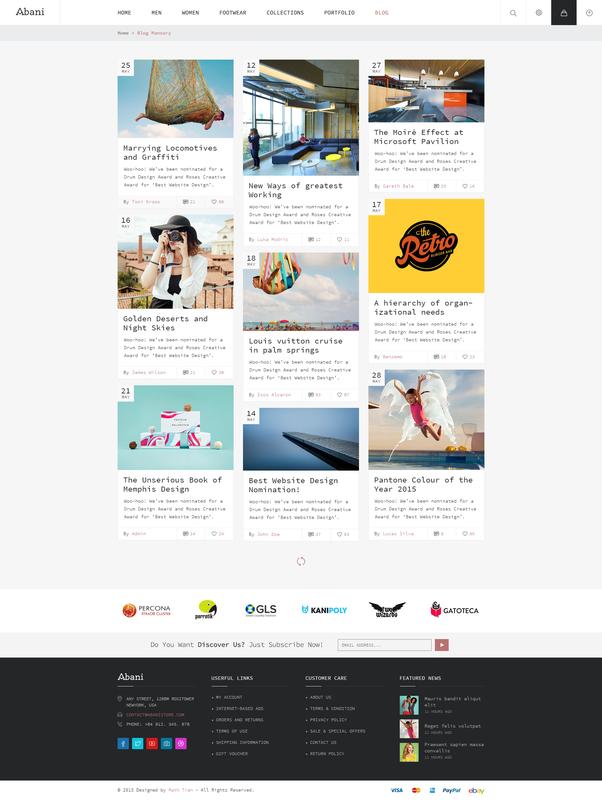 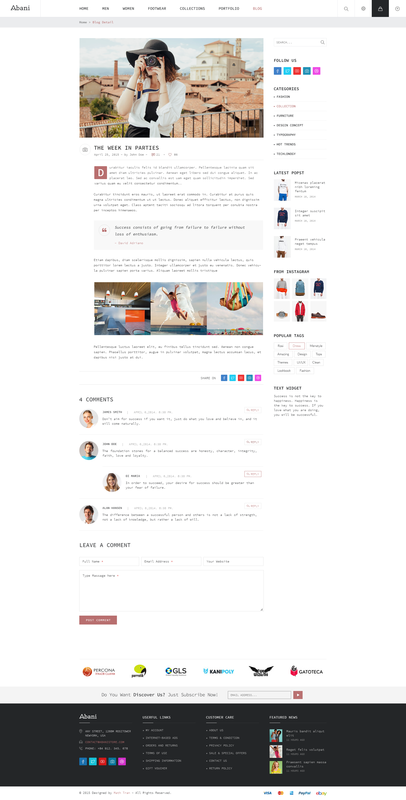 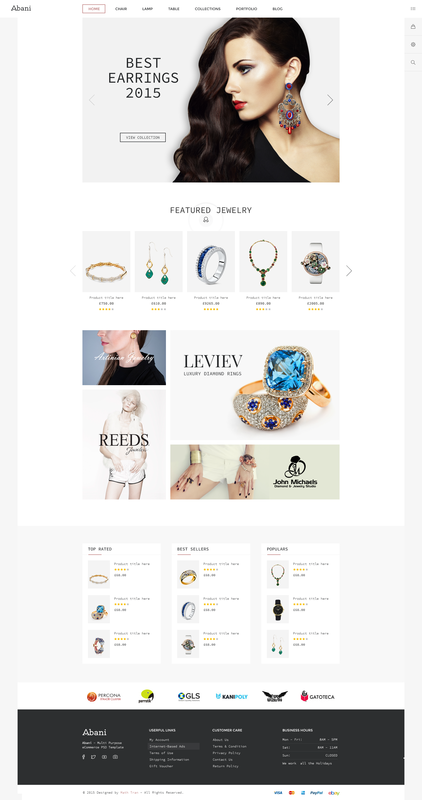 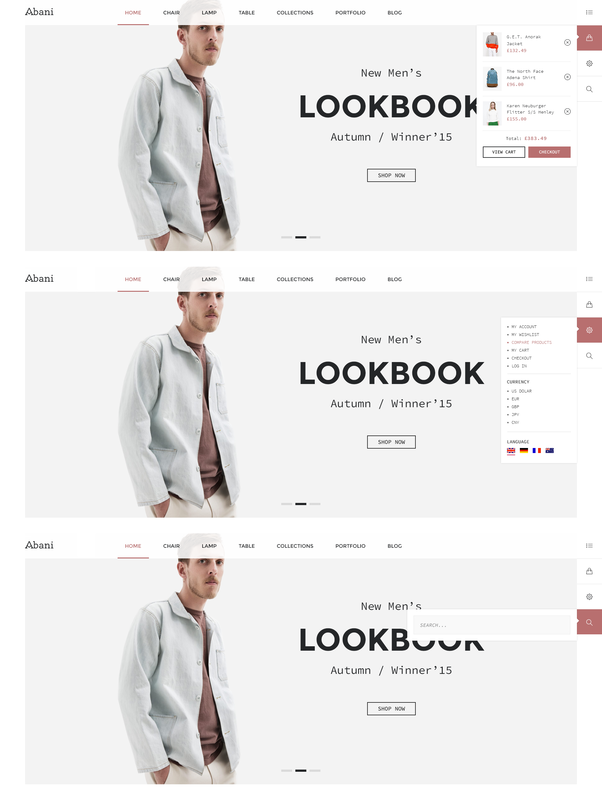 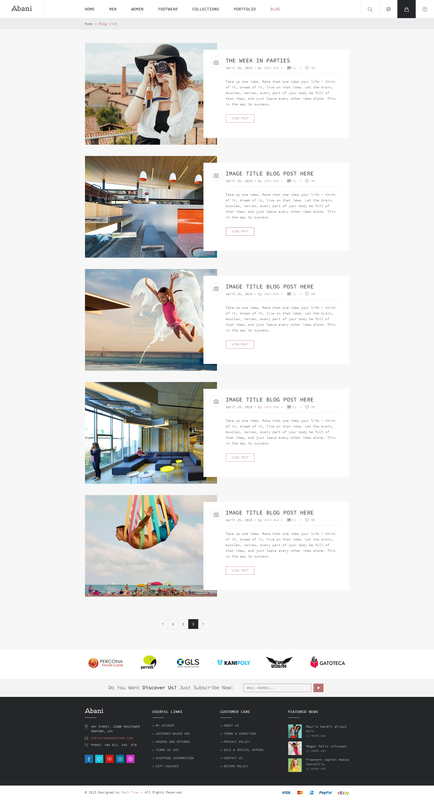 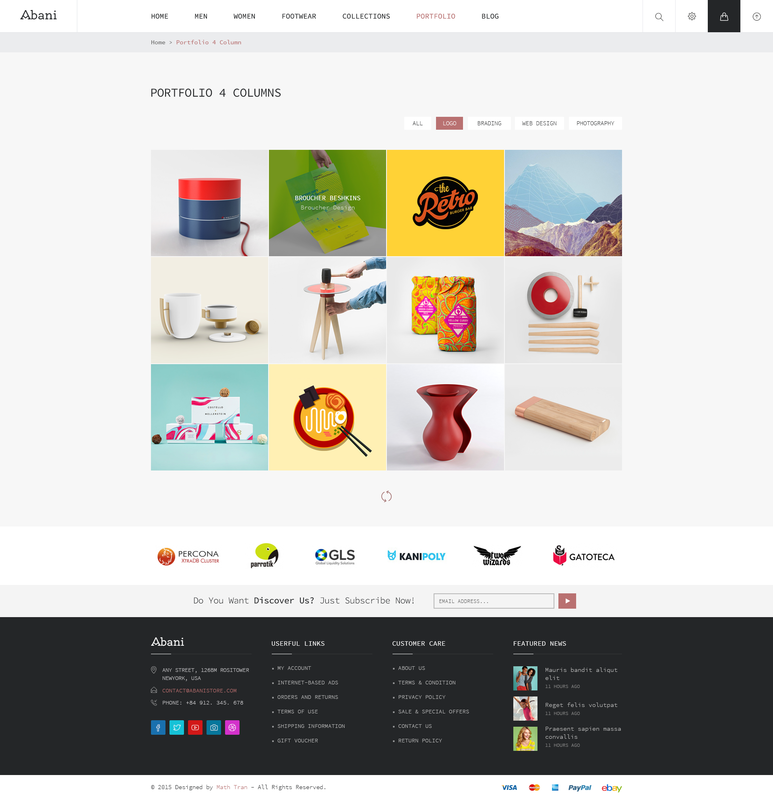 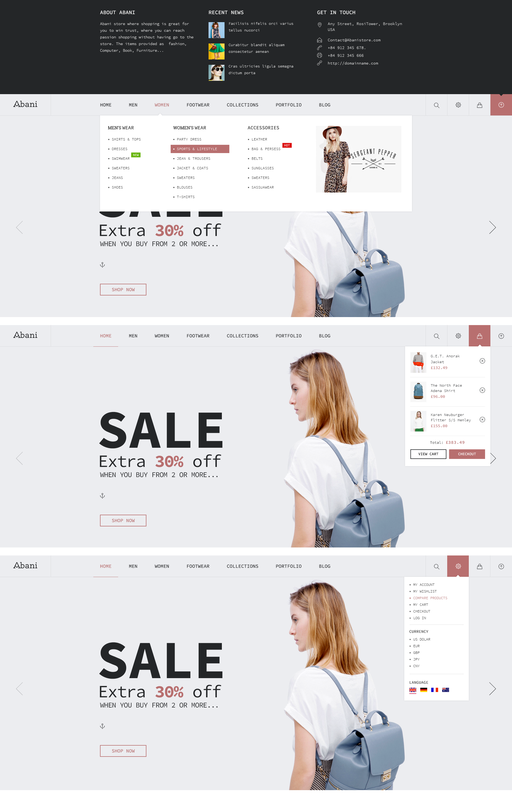 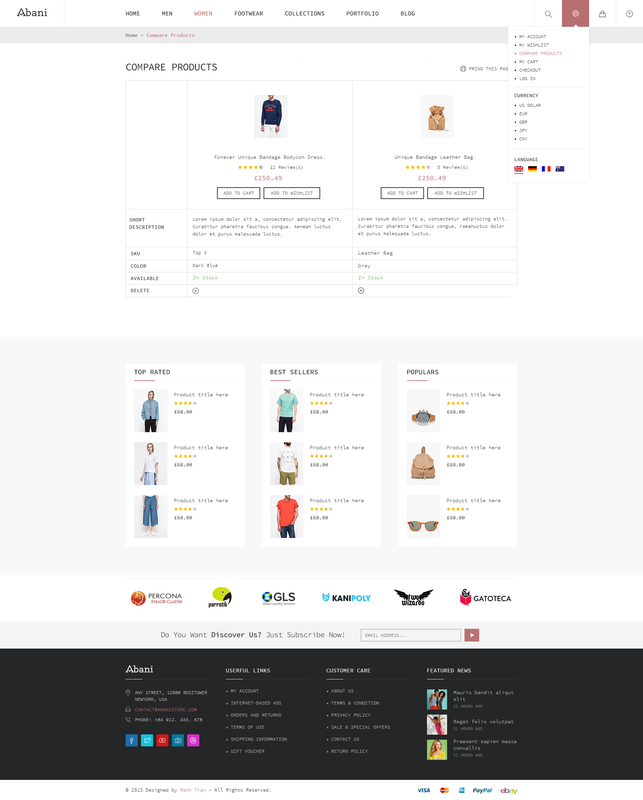 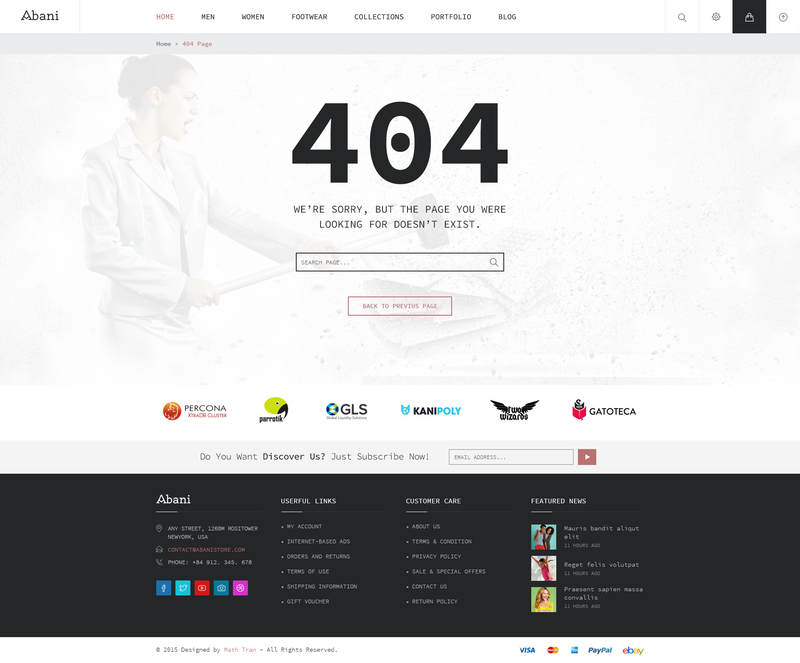 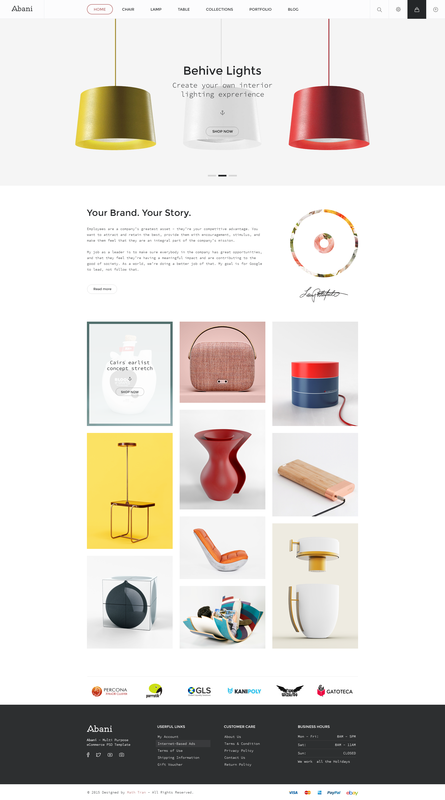 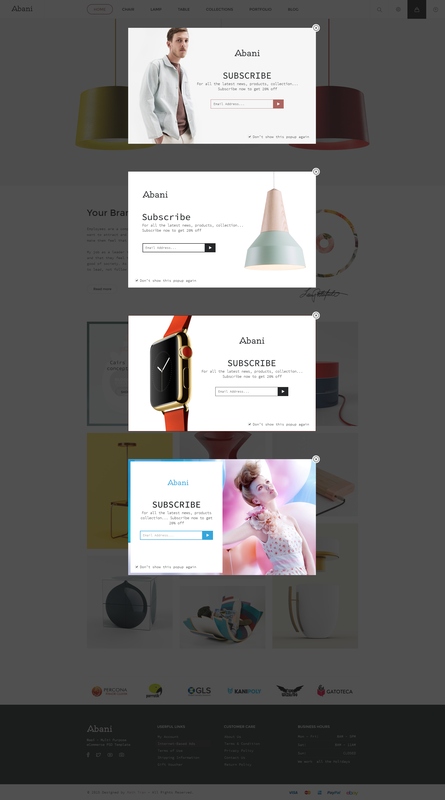 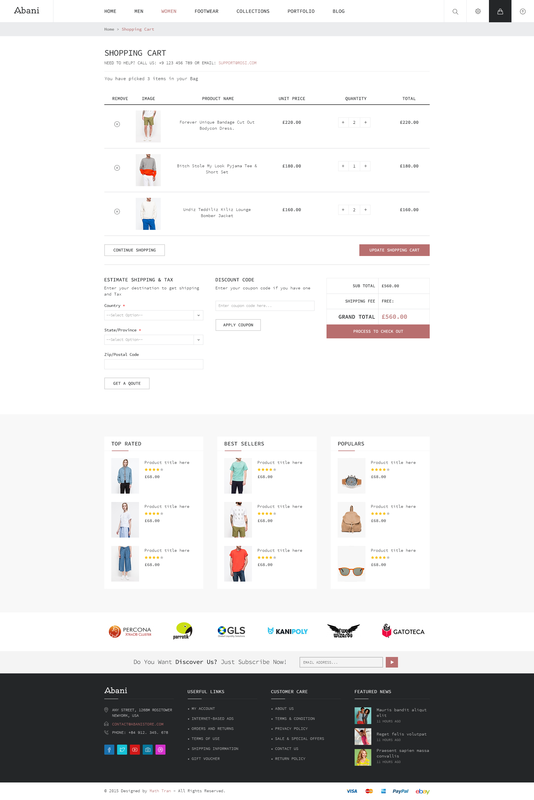 Abani – Multi Purpose eCommerce PSD Template for online Fashion, Furniture, Jewelry and Digital stores, which can easily be transformed to a Portfolio website or Personal blog. 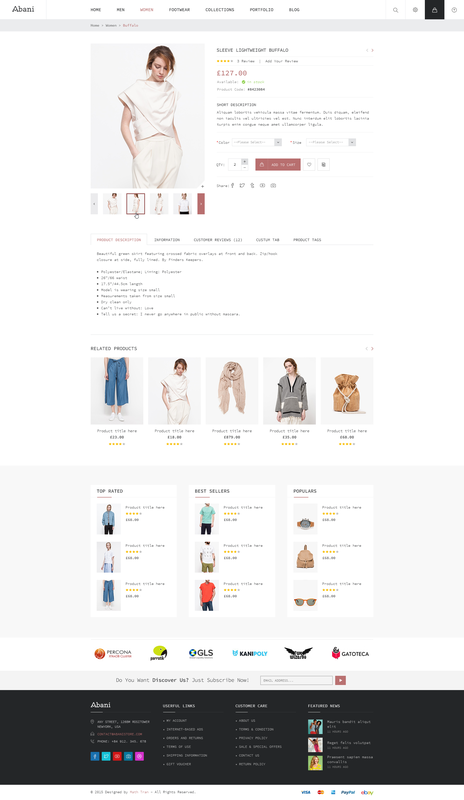 Clean, Modern and Unique design. 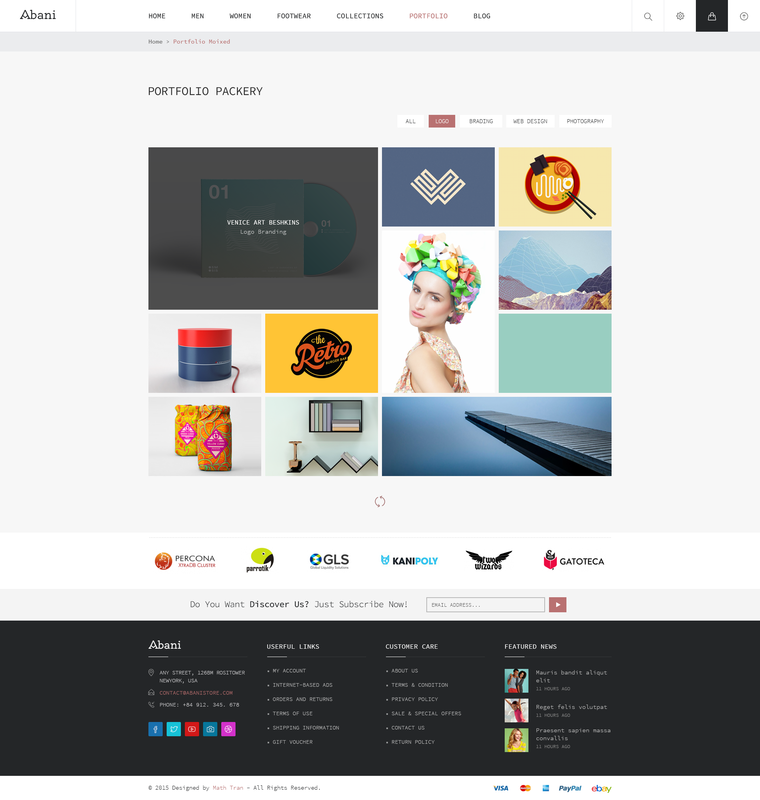 PSD files are well organized and named accordingly so its very easy to customize, update and changes.